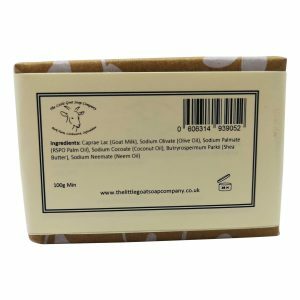 Especially formulated for Gardeners, the essential oils of Rosemary, Teatree and Lavender, combined with natural pumice and Goats Milk Soap has produced a gorgeous antibacterial, antiseptic soap which will also soothe and cleanse your hands after a hard days work. brilliant for getting that engrained dirt from your hands and leaving them soft, without stripping all the moisture. It leaves hands soft and moisturised. I will be buying it again! 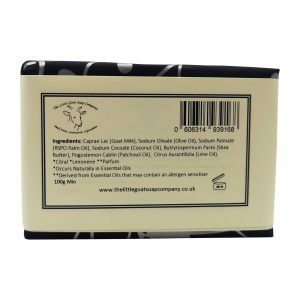 I have actually been using this soap for my terrible spotty skin! The pumice helps and acts as a scrub, and the antiseptic properties of the soap is helping the spotty areas. I don’t use it on my face, but on my shoulders and elsewhere that gets spots and I’ve noticed a huge difference! Being really sensitive to unnatural fragrances that also flare up my irritated skin, this has been a wonderful addition to my shower routine! I ignored the fact it’s for gardeners hands – it works for me elsewhere! Thank you!